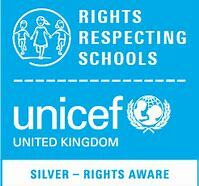 We are delighted to announce that we achieved our Silver Rights Respecting Schools Award today. This is a huge achievement. We are the second primary school in East Lothian to achieve this and we are very proud of all our young people and the hard work and commitment of all the staff. The UNICEF assessor came out to school and attended our assembly, spoke to children and staff throughout the school, was given a tour by some of our Rights Respecting Group Members and viewed all our paperwork we had gathered over the last year. It has been a very busy journey and we now look forward to working towards the GOLD award.